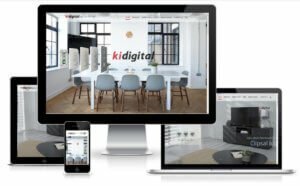 Your Digital Solution works with small to large businesses, building a digital presence. 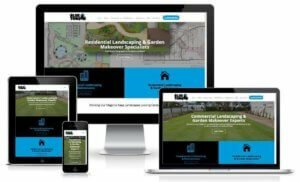 Check out a few of our latest sites. Zenith Engineering are Australian distributors of Isuzu Marine and Industrial Diesel Engines and Spare Parts. Having built their website quite some time ago, it was time for a revamp. 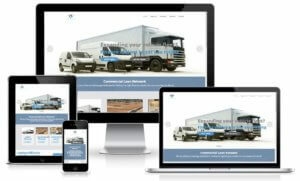 Their new website is much better representation of the range of services and products they supply. 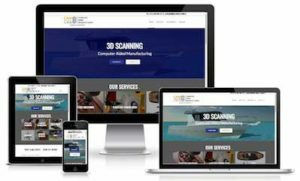 Computer Aided Manufacturing offer a variety of services from 3D Scanning to CAD Design. 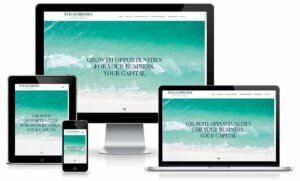 A fresh new website was exactly what they needed to build an online presence and boost their business. 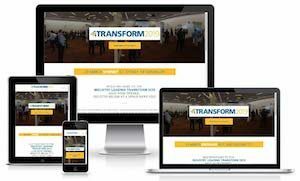 The 2019 Transform Conference will feature solutions from Trimble and the latest in technology. With such an incredible line-up of speakers, we endeavoured to develop a website that visitors could easily manoeuvre and understand. 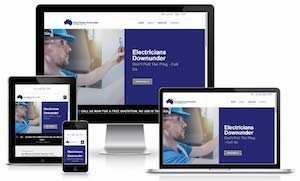 Having over 10 years experience in the Electrical field, Electricians Downunder provide an extensive range of Electrical Domestic Commercial Industrial and Rural Installations & Maintenance. 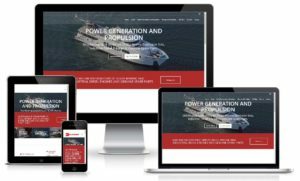 We assisted this company by building a fresh website in order to develop an online presence and create an informational and aesthetic destination for their customers. Reocrete supply premium quality concrete and reinforcing mesh to the South East Queensland region. We’ve been working closely with the Reocrete team running SEO efforts and Google Ads. 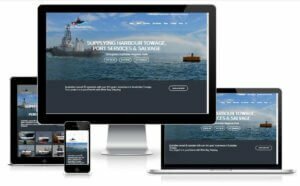 Recently we revamped their website in order to totally redevelop their online presence and improve customer satisfaction. Think Outdoor supply a vast range of high quality billboard services. 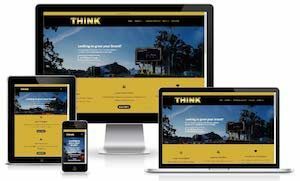 By building a fresh new website the team at Think are now able to properly demonstrate their expertise through a website which reflects the company’s true essence. 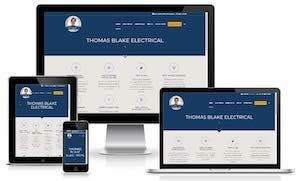 Thomas Blake Electrical is an electrical company who service Brisbane, predominantly South East Brisbane. These guys do everything electrical and assist both businesses and everyday individuals. 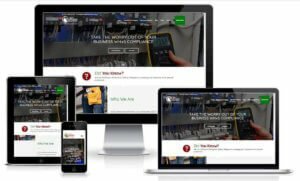 We built a new website in order to revamp their brand management and provide their customers with an easier online experience. Pacific Tug services the Australia and Australasia region, providing tugs and towage supplies. Pacific Tug has extensive experience having been in the field for over thirty years. 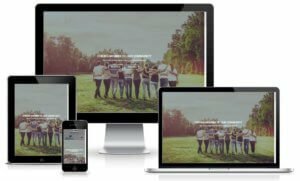 We built the team a new website in order to market their services more effectively and grow their customer base. PIPAus are the glove experts, specialising in the design, manufacture, import and wholesale of high-quality hand and respiratory protection. We rebuilt their website and started SEO strategies to fast forward the B2B process. Commercial Solar Cleaning offer a range of services ranging from solar panel cleaning to field mowing and rubbish removal. 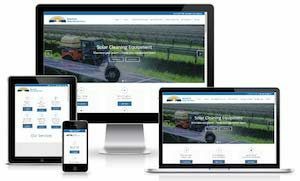 By building them a new website, the team at Commercial Solar Cleaning were able to define themselves online and market themselves properly. 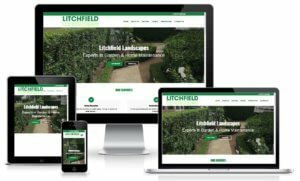 Litchfield Landscapes are the landscaping experts! From garden maintenance and renovation to construction, these guys have you sorted! We helped out by building a website that reflects the hard work and the care these guys put into their work. Blue Tongue are the commercial landscaping and garden makeover experts! Through the generation of a web rebuild, SEO efforts and Google Ads, we’re working closely with these guys to boost their business to the next level! With more than 100 years of industry experience, Cage BMS specialise in the manufacture of steel reinforcing jointing solutions and innovative construction technology. 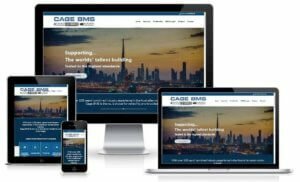 We assisted Cage BMS by building a whole new website so that we could improve their lead management and online presence. FreshOps is a specialty app and software service targeting cleaning company managers, supervisors and owners. FreshOps provides cleaning staff with a simplified approach to schedules, time management and attendance. We built FreshOps a whole new website and we maintain regular SEO efforts and Google Ads. With more than 300 years of combined industry experience, Energy Air provide a range of air conditioning solutions to South East Queensland. Through the use of Google Ads and a fresh new website, Energy Air can be easily searched and found online. 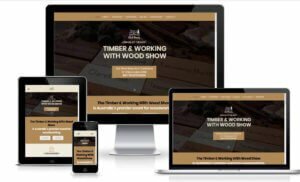 The Timber & Working With Wood Show is a touring Australian woodwork show. We built these guys a new website in order to provide visitors with an understanding of the event and upcoming dates. We’ve also been using Google Ads and SEO strategies to reach their target audience and generate new customers. New Breed Co assist businesses through a range of unique consulting services. We worked alongside New Breed Co to build them a fresh new website. We transformed their business so that they could focus on transforming their clients’ businesses. Based in Townsville, the Rod Johnstone Group provide a range of commercial and industrial construction services from fit outs and interior design to refurbishments and new builds. We worked with these guys to build them a new website and set up SEO strategies to better broadcast their specialties. Commercial Loan Network help small businesses grow by offering finance solutions. A fresh new online look really helped these guys appeal to their target market and reach out to those who really need their assistance. Stradbroke Capita’s objective is to generate superior returns for their investors by partnering with existing business owners to provide capital, skills and connections that would otherwise not be available to this part of the economy. 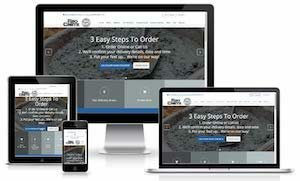 A new website enabled this company to take their business to the next level! Kidigital is Australia’s leading manufacturer of customisable AV & data wall plates and panels. 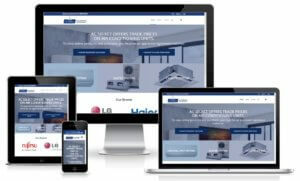 We rebuilt their website to give it a fresh new feel and provide their customers with a simplified online experience. 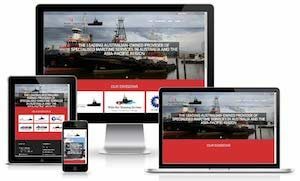 Wide Bay Shipping are an Australian owned and operated company specialising in towage, port services and salvage through Australian regional ports. 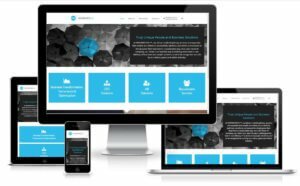 We built these guys a whole new website to assist with lead generation and the development of an online presence. QLD Compliance Solutions assist businesses with the occupation health and safety. 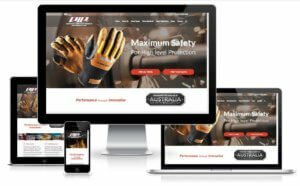 We built these guys a website so that businesses could learn more about health and safety regulations and get in touch with a company who can simplify the process. AC Select wholesale air conditioning units at trade prices. 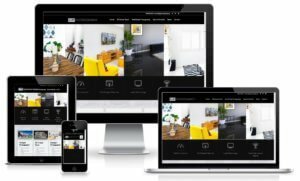 By building a website these guys were able to be found easily online and boost sales. Alpen Liquor are dedicated to supplying the highest quality in European beer, wine, Shnapps and Spirits off and on premise. 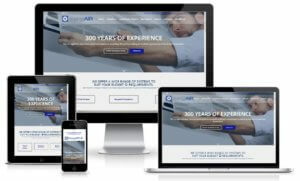 By building these guys a fresh new website we were able to fast track their B2B development. 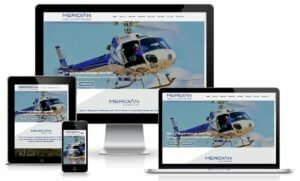 Meridian Helicopters specialise In Electrical High Voltage Transmission Powerline Maintenance And Construction. These guys benefited hugely from a fresh new site as they were able to reach a larger target audience. CPJ Photography specialise in Real Estate, Commercial and Sports Portraits photography across South East Queensland. 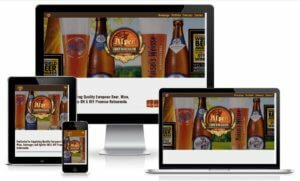 A new website really helped these guys to reach their full online potential and grow their customer base. Aus Organic Feeds are dedicated to sustainable growth. They supply nutritionally balanced animal feed from certified organic to non-organic. 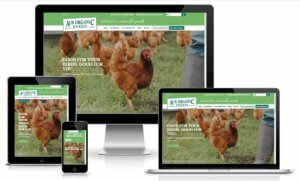 By building a fresh new website these guys were able to reach a larger audience and supply more farmers with rich and nutritional animal feed.